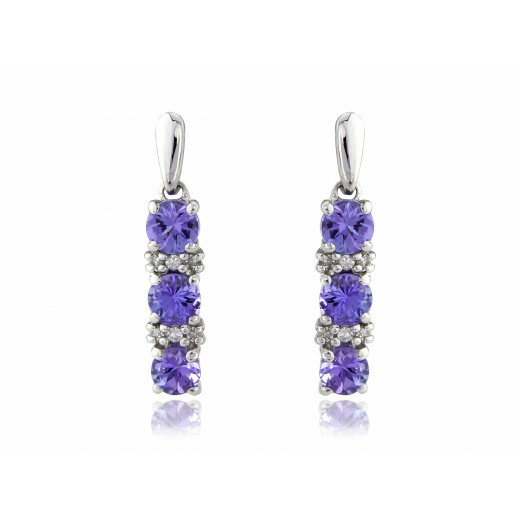 Beautiful drop pendant earrings set with three round cut tanzanite stones and smaller white diamonds. 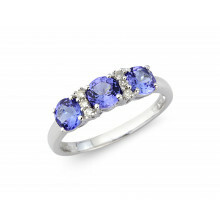 A striking light purplish colour they will not fail to impress. 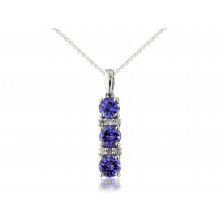 Can be paired with our ring and pendant of the same design.